QUINCY, Mass. 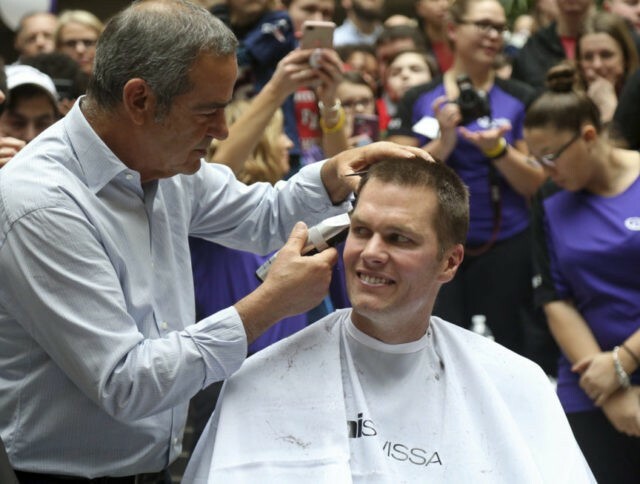 (AP) — New England Patriots quarterback Tom Brady got a buzz cut for a cancer research institute. Brady was the mystery guest at Thursday’s “Saving by Shaving” annual fundraiser for the Dana-Farber Cancer Institute in Boston.